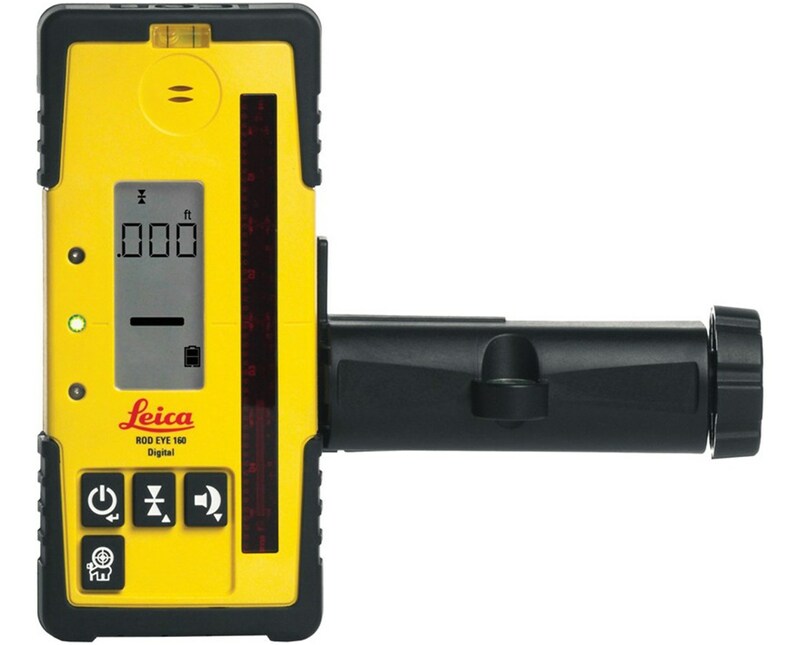 The Leica Rod Eye 160 Digital Laser Receiver is a laser detector designed for Leica Rugby leveling lasers. It features 15 arrow display channels, two large graphic displays on the front and back, and three bright LEDs that can be used as a reference for the receiver’s position. Flashes of strong strobes are detected and ignored with the anti-strobe protection to ensure will not interfere with the receiver’s function. Also featured are the capture function that allows saving of measurements and the menu function for saving setting preferences. Plus, it has a working range of up to 4,430 feet. The Rod-Eye 160 displays measurements in mm, cm, in, fractions of in, and ft. The extra-long reception window includes a unique technology that provides accurate digital input. 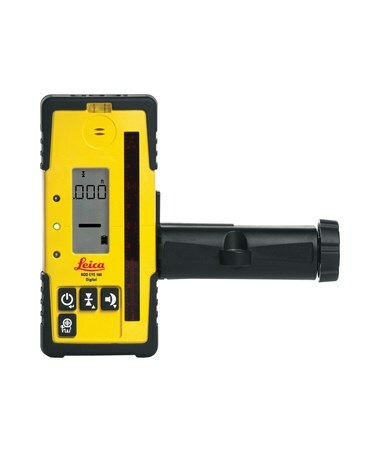 Detecting the laser is made easy because the device beeps twice when it passes through the laser and there are four audio settings of up to 100 decibels. If the detector is moved out of the laser’s range, an arrow will be displayed to indicate the direction to move to return to the right position. This laser receiver is made of durable materials with a protective over mold that protects it from drops. It is also dust-tight and waterproof with the IP67 protection rating. The device is powered by two standard alkaline batteries and can function up to over 50 hours with it. It auto shuts off after several minutes of not using it and a small laser icon alerts when the batteries are getting low. A rugged rod clamp is included to keep the receiver safe and handled firmly. This bracket has a level vial to ensure good alignment.